Similar to the 2015 Games in Gwangju, South Korea, Canadian divers were successful on the final day of the diving competition, medaling in the mixed team event. 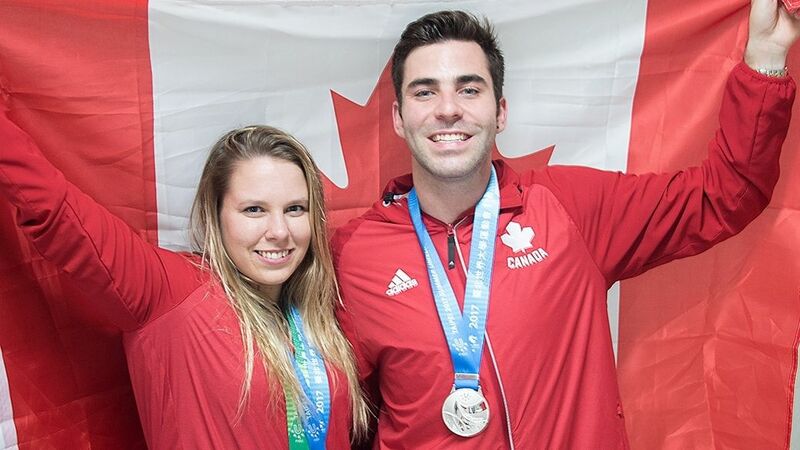 This time it was Celina Toth and Tyler Henschel earning silver at the 29th Summer Universiade in Taipei. Ukraine took gold with 398.90 points, Canada finished with 362.80, while Germany won bronze with 353.15. Just 30 minutes before the mixed team events, Henschel finished ninth in the men’s platform final, admitting that Toth had the team event on her mind more than him. This is the second medal at the games for Toth, who also won bronze in the women’s 10m platform event on August 23. In 2015 at the Summer Universiade, she also won two medals (bronze in mixed team and gold in synchronized 10m). Since diving is generally looked at as an individual sport for both Toth and Henschel, competing as a team was something they wanted to have fun with. They had some fun posing for photos before the competition and supporting each other during every dive. This medal is also part of an improved medal total from Canada’s eight in 2015. Both student-athletes said being able to contribute to that is a great feeling. 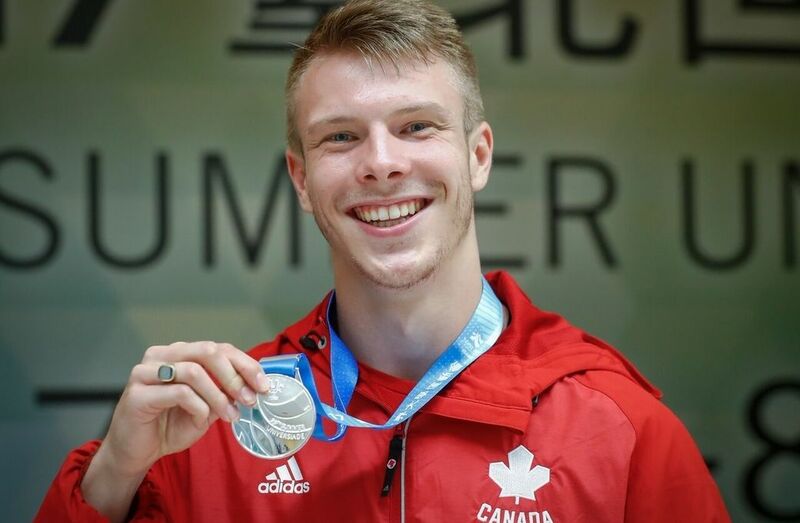 “Getting to stand up on the podium and know that – one, you did it for yourself – but you get to come back to the village and share it with everyone else makes it just so exciting to represent the maple leaf out there,” said Toth.